No matter what your need, whether you are interested in a beautiful smile makeover with porcelain veneers or you need TMJ treatment, deal with periodontal disease, or need to replace missing teeth with dental implants – our team of highly skilled doctors can take care of you. Enhancing smiles since 1981, Advanced Cosmetic Dentist Dr. Steve R. Bader has advanced training, over 25 years experience, and spectacular results with the latest procedures in cosmetic dentistry to fulfill all your cosmetic dental needs. Recently, Dr. Bader became partners with Dr. Theodore Filandrianos and several other highly skilled doctors. Together, we can provide coordinated treatment in a warm, friendly, and private office setting while offering patients state-of-the-art equipment, CEREC same-day crowns, and a multitude of other general and cosmetic dentistry services. This arrangement expands the depth and range of services that Dr. Bader can provide his patients to include comprehensive care in dental implants, periodontics, endodontics, as well as added expertise in the treatment of TMJ disorder. Dr. Bader came to Boston from New York in 1973 to study at MIT, where he received his Bachelor of Science in Chemistry. He then went on to the Harvard School of Dental Medicine, and graduated with honors in 1981. He returned to New York for a one-year hospital residency at the Beth Israel Hospital, studying all phases of dentistry at an advanced level. Dr. Bader completed postgraduate training at the Las Vegas Institute for Advanced Dental Studies (LVI). LVI is recognized as the leading post-graduate training center for advanced cosmetic dentistry, neuromuscular TMJ therapy, and full mouth cosmetic reconstruction. At LVI, Dr. Bader worked on real patients alongside international cosmetic experts to learn how to best create the smile of your dreams. He has studied advanced aesthetics for front and back teeth, as well as advanced courses in restoring complicated bite problems. Dr. Bader lectured at the Harvard School of Dental Medicine for many years on providing the ultimate in personalized service to patients. 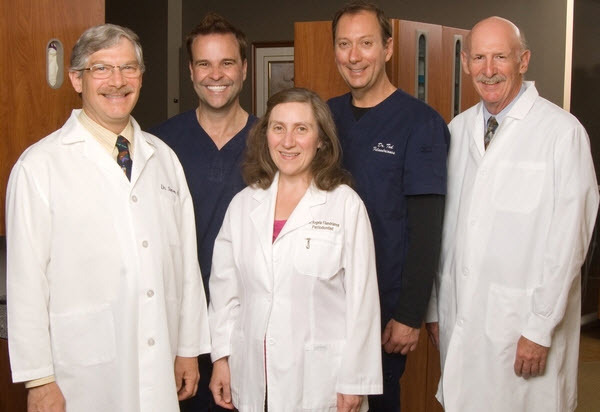 His practice emphasizes individual patient care for people seeking the ultimate in cosmetic dentistry. He concentrates on porcelain and composite bonded restorations for front and back teeth. Dr. Bader also provides care to patients with TMD (temporo-mandibular dysfunction). He utilizes sophisticated computerized equipment which can analyze your bite and determine if that is the cause of your TMD pain. Dr. Bader has helped free many patients from years of headache, neck ache, and shoulder pain by rebuilding their bite to the proper level. Dr. Bader routinely takes three to four times the requirements for hours of education each year, sometimes as much as ten times the requirements. He has studied with the top experts in the world – the same doctors who develop the high quality materials and methods he uses every day. Dr. Bader’s staff regularly accompanies him to these courses so they can intelligently address any questions you may have. He continues to look for opportunities to learn about the latest advances in materials and methods to deliver true state-of-the-art cosmetic dentistry. When it comes to reconstructive and cosmetic gum and implant surgery, Dr. Biebuyck’s experience is impressive. He has placed thousands of dental implants and is experienced in the latest technology available today for bone regeneration if you are missing teeth and are dealing with bone loss. For facial collapse patients, where many patients lack sufficient bone thickness in the upper posterior jaw to place dental implants, he provides sinus bone grafting. In 1988, Dr. Biebuyck received his degree in dentistry from the University of Pennsylvania and then went on to Tufts School of Dental Medicine where he achieved his Doctor of Dental Medicine (DMD). At Tufts, he graduated with a focus on periodontics. A warm and welcoming demeanor, patience, and genuine sincerity are all traits that describe Dr. Filandrianos-Sykes. She excels at periodontal care and is fully-trained to use lasers for the treatment of periodontal disease. Dr. Filandrianos attended Boston College where she obtained her bachelors degree. Then in 1988, she attended Tufts University School of Dental Medicine and earned her degree from their periodontal program. Dr. Ted Filandrianos is known is always in a continuing education mode. Every year he far exceeds the continuing education requirements, with over five times the hours required to maintain his license. Since 2003, Dr. Filandrianos has continually been voted, “America’s Top Dentist” by the Consumer Research council of America. He prides himself on being on the cutting edge of the latest dental technologies and techniques. So when his patients sit in his chair, they know that they are receiving the most up-to-date methods, equipment, and technologies available today in the field of dentistry. Dr. Filandrianos is a Boston College alum and received his Doctor of Medicine (DMD) from Tufts University School of Dental Medicine. He has also achieved fellowship status of the Academy of General Dentistry. This designation is only available to 7% of dentists in the United States. When he is not pursuing his passion for dentistry, Dr. Filandrianos is an avid equestrian who competitively shows and breeds American Quarter Horses. 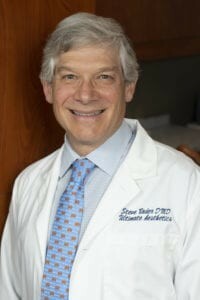 Dr. Goldberg received his Doctor of Medicine (DMD) in 1976 when he graduated from Tufts University School of Dental Medicine. Then, he served as a Resident in Dentistry and Staff Dentist at the Beth Israel Hospital in Boston. He went on to attend the Endodontic Graduate Dentistry Program at Boston University in 1985 and received his Master of Science degree in Endodontics in 1989. Today, Dr. Goldberg lectures on Endodontics as an Instructor at Boston University in their Endodontic Clinic. If you are in pain because of TMJ disorder, Dr. Mehregan has been recognized for his exceptional care in helping hundreds of patients with this condition. Dr. Mehregan attended the Goldman School of Dental Medicine at Boston University. He also attended the prestigious and well-respected Las Vegas Institute where he further garnered his skills in the study of Cosmetic Dentistry and Neuromuscular Dentistry. Since then, he has continued training in Orthopedics and Neuromuscular Orthodontics and is an active member of the International College of Craniomandibular Orthopedics and the International Academy of Orthodontics. Patients and peers alike consider Dr. Mehregan an expert in treating TMJ and Orthodontics.